The production of oil is done in a number of stages which involve different types of machinery that make up an oil milling plant. These various types of machines are built using parts that may differ depending on the model or even size of the machine. Therefore, it is important to ensure that every machine used in the processing of oil has the right parts to ensure that the quality of output is maintained and the machine lasts much longer. 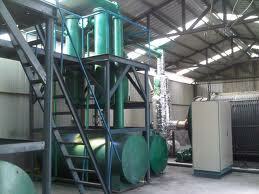 An oil extraction machine is one of the important types of equipment that is used within an oil milling plant. Therefore, it is important for it to be maintained and its parts given proper service or replaced when necessary to ensure that it works well at all time. Oil extraction machinery parts are varied but some of them are found in almost all types of oil milling plants. Some of the common types of oil machinery parts include lock nuts, chambers, screw shafts, cake rings, big umbrellas, gear boxes, umbrellas and rings among others. These oil extraction machinery parts are very important because they support the basic as well as major functions of the oil milling plant resulting in successful extraction of oil on a regular basis. To ensure that oil extraction machinery continues to be of use for many years while giving quality output, it is important to maintain its parts well. Oil extraction machinery parts that need to be cleaned or oiled should be done so on a regular basis. Also, if a machinery part needs to be replaced because it is damaged or faulty, the replacement should be done as soon as it is found out to avoid damaging the whole machine which in turn will incur much more expenses for the plant owner. This entry was posted in oil extraction machinery. Bookmark the permalink.